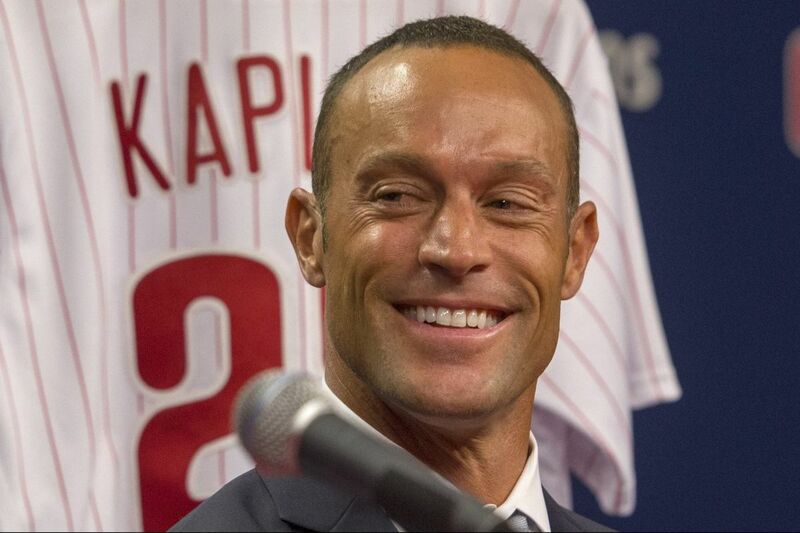 New Phillies manager Gabe Kapler has completed his coaching staff. LAKE BUENA VISTA, Fla. — The Phillies hired Jose Flores, who spent the last five seasons as a field coordinator in the Chicago Cubs' minor-league system, to be their first-base coach. Flores, 46, is the final addition to new manager Gabe Kapler's staff. It's a different staff, one that is younger and contains five coaches with zero big-league coaching experience. Flores is one of them. The Phillies hired six of their eight coaches from outside the organization — two from the Cubs, one from the Astros, one from the Dodgers, one from the Yankees, and another from the Angels. Kapler's staff has Rob Thomson (bench), John Mallee (hitting), Rick Kranitz (pitching), Flores (first base), Dusty Wathan (third base), Jim Gott (bullpen), Pedro Guerrero (assistant hitting), and Chris Young (assistant pitching). Flores will oversee the team's infielders and baserunning in addition to his responsibilities at first base. He has managed Puerto Rico's national team and spent 10 seasons as a coach in Puerto Rico's winter league. He was a 38th-round pick in 1990 by Houston and played for five seasons in the Astros' minor-league system. One thing Kapler's staff is missing is a former Phillies player. None of the coaches played in the majors with the Phillies. This will mark the first time since 1970 that a Phillies staff does not include a former Phillies player. That season, a coach named Doc Edwards was activated as an emergency player when the team suffered injuries to several catchers. He played 35 games.